The Scottish Highlands offer everything a really successful hen party and stag weekend need! From great daytime activities to the warm Scottish hospitality and a repertoire of fun and frolic activities, there is something for everyone here. 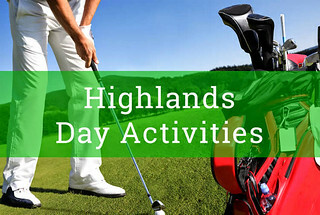 We have a huge range of activities all over the Highlands as well as special weekend packages that are designed to go easy on the wallet and the mind. If you are staying in Edinburgh, many of our activities are accessible to you or if you don't need the bright lights, why not stay in Aberfeldy or Aviemore and enjoy a great weekend of fresh air, exciting and scary activities and enjoyable evenings. The adventure enthusiasts can choose from some of the top favourites like mountain biking, climbing, assault courses and more. Motorised mayhem that is well represented by quad biking or off road driving are great options to drive up the adrenalin which can be well complemented by a few slow paced activities like golf or archery to even off the pace and the frayed nerves! Shooting activities like paintball, archery and clay pigeon shooting continue their unrivaled supremacy in stag party circuits. 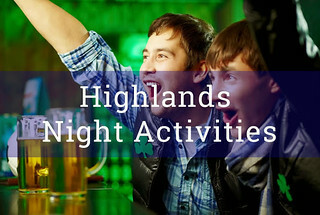 There are top of the crop night time fun activities and food and drink activities as well to cater to the diverse tastes of stag and hen groups. Hens have ample fun in store for them in Aberfeldy in the form of pole dancing lessons, spa, shopping and cocktail making lessons among others. Aberfeldy has a fair share of night life and wicked fun options as well, to round up your party on a brilliant note. To know more on the Aberfeldy stag and hen activities, call us at Gobananas, the party makers with a decade's experience in stag and hen parties to make sure that you don't miss out anything.